Give Green, Give Nature Bag This Christmas! When you select gifts for the holidays this year, how could you do better than Earth’s Greenest Bag? Is someone who uses a sports or swim bag on your gift list? Surprise them with the ultimate tote for either purpose: the stretchable Nature Bag. Perfect for a beach outing, it’s a home-crafted present that will be cherished by almost anybody – not only your eco-conscious friends. Perhaps you have a friend who loves to garden? 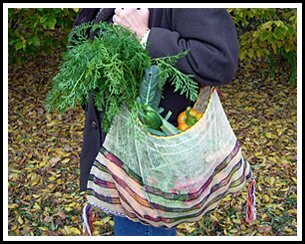 The minimalistic Nature Bag is the right companion to hold all of the seeds, bulbs, starter plants, hand tools & soil conditioners needed for an hour or an afternoon of work around the yard. And if you want to gift a trend-setting style aficionado, our sustainable tote will help them set a standard for earth-friendly design and beauty. It’s the best way to carry nearly anything almost anywhere! Home-crafted in isolated mountain villages of an ancient culture, the stretchable multipurpose unisex Nature Bag tote gently grasps and protects essentials while allowing ventilation. Its durable JungleVine™ fabric grows prolifically without agriculture and is gathered by hand. 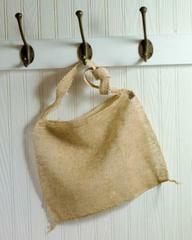 The result is Earth’s Greenest Bag–proved sustainable over thousands of years. The carbon the JungleVine™ (tropical Kudzu) filters from the air is stored until released into the soil after it is buried to biodegrade (if the durable green tote ever becomes unusable), while the oxygen JungleVine™ emits during growth helps us breathe. For convenience, you can order all 3 sizes (M – $30, L – $33, XL – $38) of organic Pahk style 24 hours a day by email to: orders(at)kangaorganics.com with your name, shipping address, contact no., size and qty. Get 15% off when you order 2pcs and more! On behalf of the Khmu Nature Bag crafters & Mission volunteers around the globe, we wish you happy holidays!